Feel a sense of relaxation ,while you gently allow your body to open in the yogaposes.. The yogaposes massage your glands, organs and detoxify . You will realize how body, breath harmony quiets the mind...We will use the tantric disciplines of breath control, mantras, moolha bandhas, meditation,yogaposes to unify the opposite energies , female/male, yin/yang in yourself to achieve a tantric balance,harmony .This is called Health.Join me and the healing sound of Joda to rediscover your birthright of Happiness and Peace again. In this healing journey your Life Force,Prana strengthens.. Resulting in the wakening of your Kundalini;Psychic current..Also referred to as the dorment Serpent Power,Shakti ,mother principle coiled up at the base of the spine.This psychic current uncoils itself and ascents up through the sushumna; central canal.It travels up the spine to contact the final center of power (the Sahasrara ),the thousands petaled lotus on top of the head. Also called the seat of Shiva, male principle . The static pole of this psychospiritual energy rising up the spinal canal. This union of Shakti/Shiva,male/female energy floods the body with revitalizing energy.. The result is an increase of your physical vitality and higher awareness in yourself... Joda will play his Didgeridoo in Savasana ; Healing rest to further fascilitate in this Journey of becoming your highest potential of Light, Love, Health and well Being. Celebrate your Wellbeing with us !!!!!!!!!! This workshop focuses on the healing aspect of Yoga; freeing your body, breath and flow of energy. Learn to surrender with meditative grace through your entire yoga session. Realize how body-breath harmony quiets the mind. Elevate your practice to an experience of peaceful unfolding; restoring balance and health. Breathing techniques (Pranayama) are used to facilitate the release of tension, stress from your mind and body. Enjoy the experience of meditation. JENNIEKE: Founder of Sharanam Yoga is a certified Yoga teacher initiated in the lineage of Sivananda Yoga. Practicing Yoga for over 20 years, she travelled the world for over 12 years experiencing different yoga styles. Yoga always feels very healing, calming and energizing at the same time to me and I believe that in this busy time, where there is an overload of noises and stress, there is a great need to know how to calm the mind. Jennieke founded Sharanam Yoga in 2006. Sharanam means Surrender. She quotes "Healing through Surrender"
Call 305.538.7544 x 2 to reserve your spot! Discover your Divine essence with this 4 week course, that focuses on the healing aspect of Yoga, freeing your body,breath and flow of energy. Learn to surrender with meditative grace through your entire yoga session, realizing how body-breath harmony quiets the mind and reveals your inner purpose.Elevate your practice to an experience of peaceful unfolding. Restoring balance and Health. Come and enjoy the experience of meditation. Breathing techniques (Pranayama) are used to facilitate the release of tensions, stress from your mind and body. JENNIEKE: Founder of Sharanam Yoga is a certified Yoga teacher; initiated in the lineage of Sivananda Yoga. Practising Yoga for over 20 years. She traveled the world for over 12 years.Experiencing different yogastyles. Yoga feels always very healing,calming and energizing at the same time to me and I believe that in this busy time,where there is an overload of noises and stress, there is a great need to know how to calm the mind. 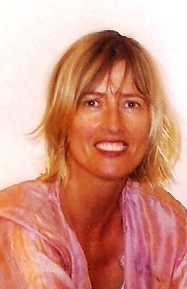 Jennieke founded Sharanam Yoga in 2006. Sharanam means Surrender. She quotes "Healing through Surrender"